I have begun to believe there are two types of people – those of us who are addicted to lip balm, and those of you who are not. If you are uncertain to which group you belong, check your pockets now. If you find a tube of something to apply to your lips, chances are you’re with me. 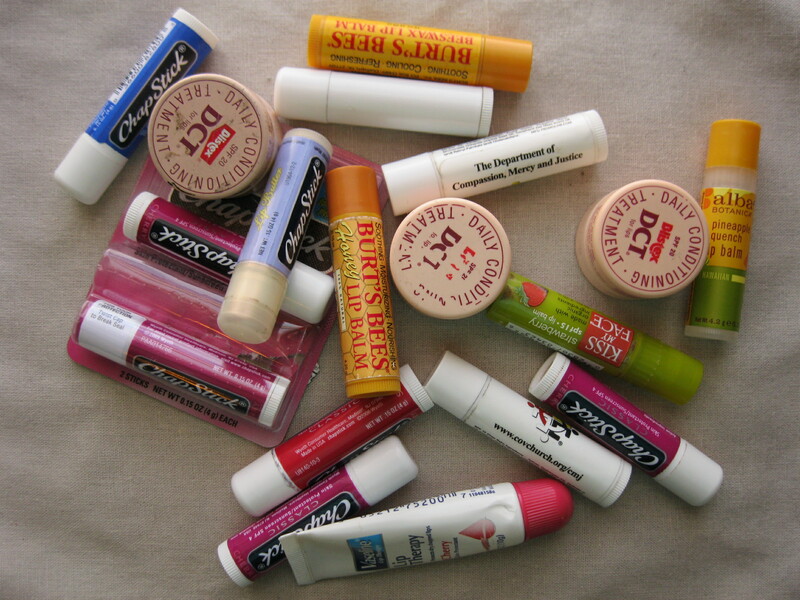 A quick rummage through pockets, bags and drawers gathered this embarrassingly large assortment of lip balm. An affinity for lip moisturizers seems not limited to humans. 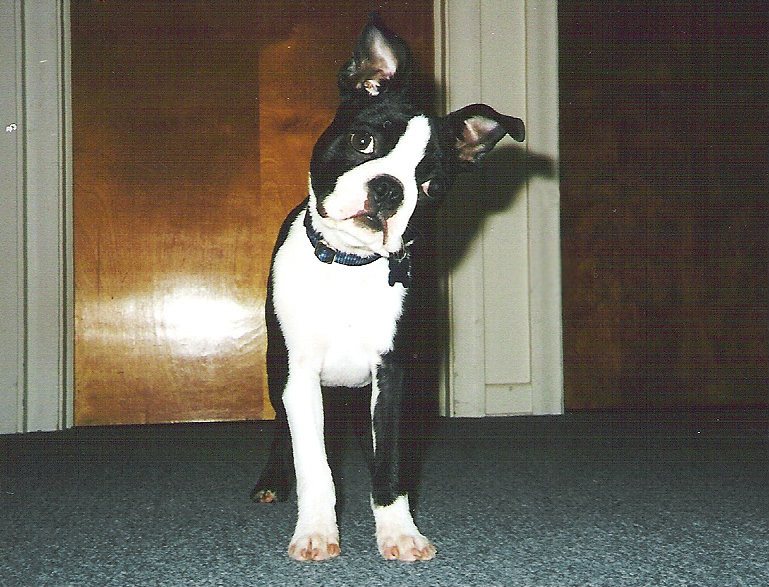 Years ago when our Boston Terrier puppy friend visited, he ate a ChapStick belonging to our daughter, Hannah. The tale of Willie’s supple lips continues in family lore to this day. How, you might wonder, is lip balm relevant to this list of gardening essentials. A preference for objects of small size and high function provides inspiration for my first item of garden must-haves. 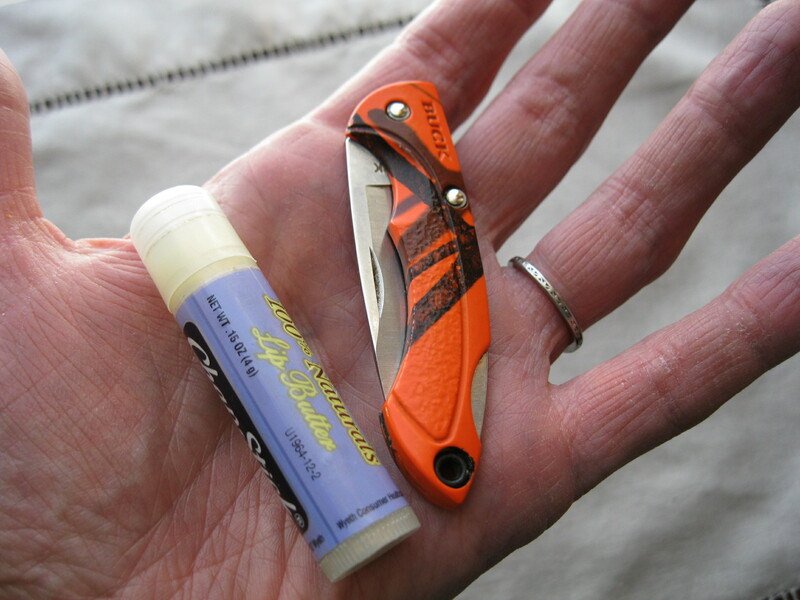 Last summer, when I mentioned to my husband that a simple pocket knife “no bigger than a ChapStick”, would be helpful, he found the perfect knife – small, but orange and easy to see if I dropped it onto the ground. 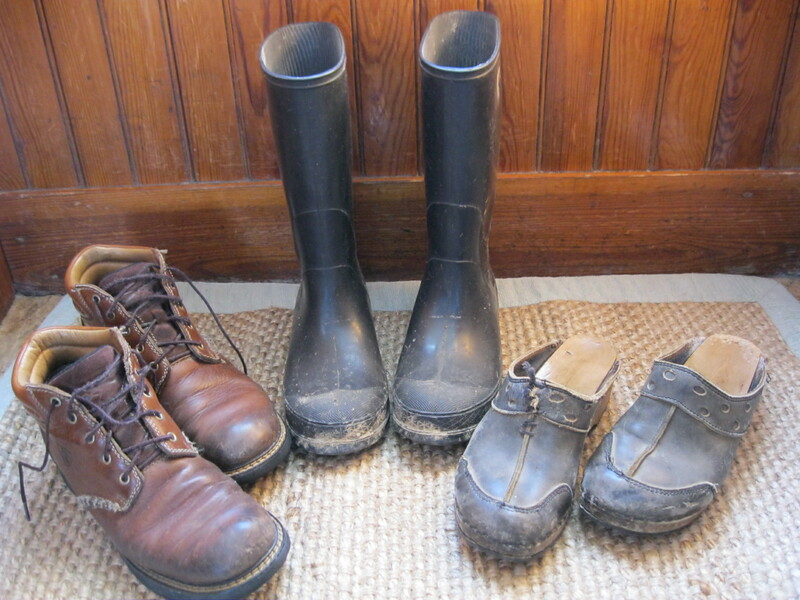 It’s essential for this happy gardener to have happy feet, and that requires three kinds of footwear. Most frequently I can be found in my beloved old wood and leather clogs, many times repaired. My mud boots are simple and black. Work boots, which fit so well I believe they were made just for me, complete the trio. 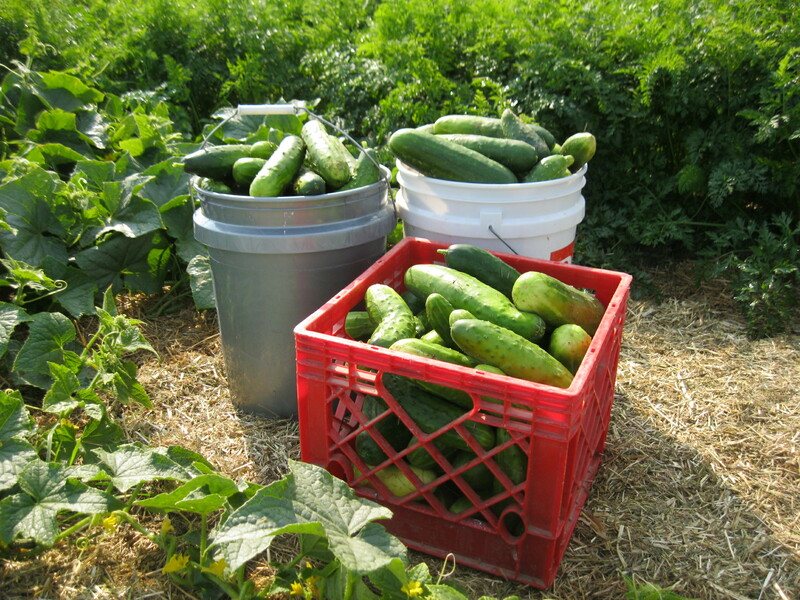 As the gardens here on our land grow in size and number, I’m challenged with the task of working more efficiently. This land is my work, and we want to make a life and a living here. Finding ways to spend less time weeding and watering has been critical, and mulch (www.PremiumGroundCover.com) has proven to be a solution. 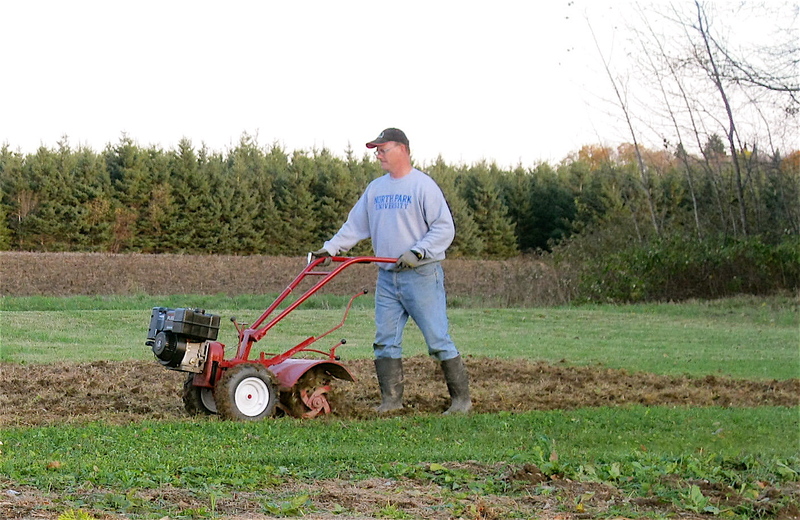 The soil is well nourished as the mulch decomposes during the growing season. 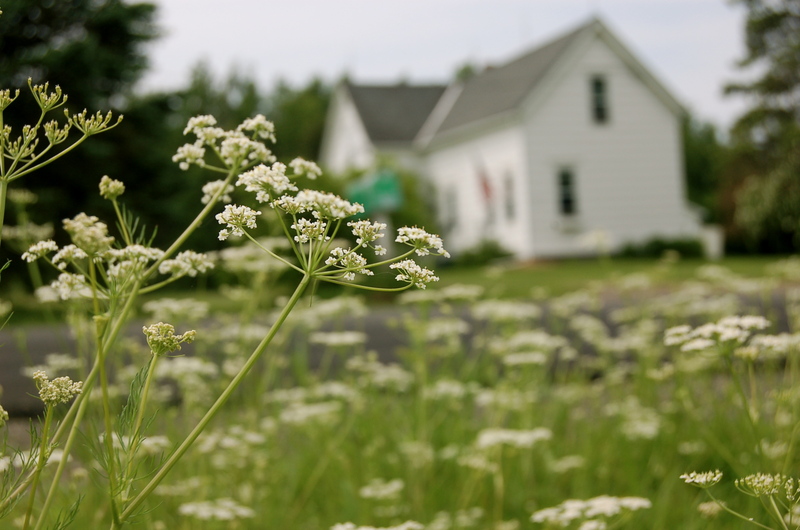 Soil, not carrots, onions or herbs, always is our first and most important crop. 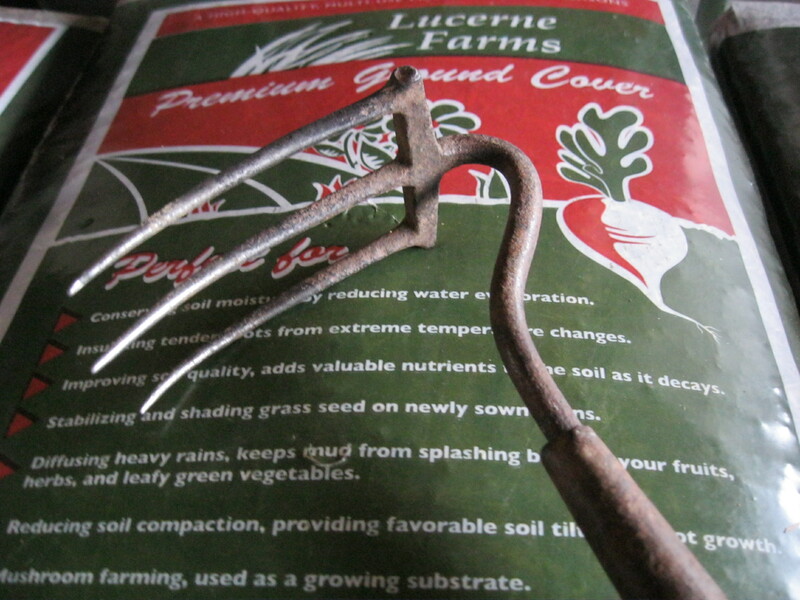 My oldest tool, a three-pronged cultivator, originally may have had a long handle. It has been with me so long that I don’t even remember where I got it, but it was old even then. Somewhere in its lifetime, someone wanted to kneel and scratch the earth, so the handle was sawed, and it suits me well. 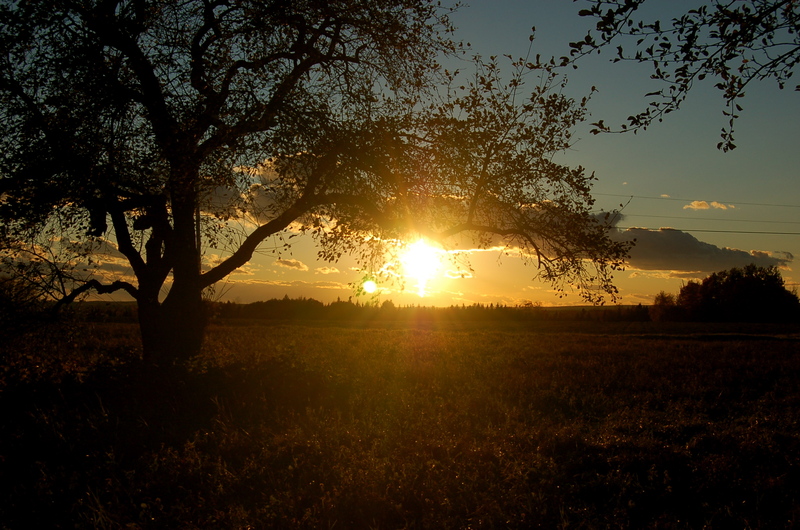 I’m blessed to be on this journey with a good-natured husband, who shares my constant longings for a few more fruit trees and bushes, a bigger garden here, another garden there. He’s willing and cheerful and often silly, and he works hard away from the farm so I can be here doing what makes me happiest. Then he comes back home to help. With a common vision, we work this land together, and that, we believe, is what’s most essential.